Thank you, Chicago. | Data, etc. It has been a joy working for the City of Chicago as the Chief Data Officer. After moving to Chicago, I was thrilled to have an opportunity to serve for my adoptive city in the best role in government. Friday is my last day with the city after 5.5 years. Long ago, I set some goals for our team that I wanted to achieve and I feel like we have met those goals. It is time to let someone else take over and I am excited to see how others will grow Chicago’s data team. It was not my first time in public service and will not be the last. We have had plenty of opportunities to discuss our projects, but that is not the point of this post. The most frequent question for our team has been our approach. There is never a short answer that can cover all aspects of the team, but there are a few key aspects that have helped define our operations. Most importantly, leadership needs to buy-in to data. Chicago was the first city to appoint a CDO, which allocated time for someone to solely focus on data, use-cases and implementation. Chicago’s Chief Information Officers–to whom I directly report–have given me the opportunity to effectively use data. This work is simply impossible without a dedicated professional and advisor. Opportunism has never been a dirty word. But it was key to connect opportunities to existing projects and not create disparate projects. OpenGrid.io evolved from an internal-only project (WindyGrid) and connected it with our existing Data Portal; database improvements helped us publish new and exciting data on the Data Portal; and new data on the portal helped drive many of our analytics projects. The only way to effectively complete all of our work was to build on top of existing projects. Over time, we’ve built a “data stack”–a collection of tools and methods–to bring new data in and feed it into algorithms, data portal, and new applications to help make Chicago more efficient and improve the quality of life for residents. Each project was intended to create a dialog across governments, civic technology groups, and to other data scientists. A project was suppose to challenge ourselves and the community to see what was possible and useful. For instance, our food inspection predictions was simultaneously a challenge if the quality of open data high enough to drive analytics and a challenge to determine if other cities will replicate open source analytics. OpenGrid stepped-up that challenge by attempting to create a market vertical for open source civic technology. The Clear Water project experimented with co-development with civic technology community and attempting research following the principles of open science. Chicago CityKey project was not the first municipal ID card, but was a card designed with privacy protections to respond to today’s national political climate. These projects were not done alone. Communities such as Chi Hack Night and non-profits like Smart Chicago Collaborative and CityTech Collaborative were key partners. Researchers and academics provided on-going feedback and helped us think of new solutions. Most of all, our internal team worked every day to create these products and overcame new challenges every day while also keeping existing projects afloat. Finally, all of our projects were driven by real needs from Chicagoans and city departments. A project was only successful if we could demonstrate improvements for front-line workers and Chicago’s residents. This meant we needed to build-in evaluations, user interviews, and follow-ups to make sure a project made a lasting impact. This job is such that leaving at any time means I’ll be leaving exciting projects behind, but I’m looking forward how the team delivers them across the finish line. The city’s new 311 system will be exciting and expand on a central service first launched 17 years ago. The smart streetlight project and others will revolutionize how the city can respond to basic needs. 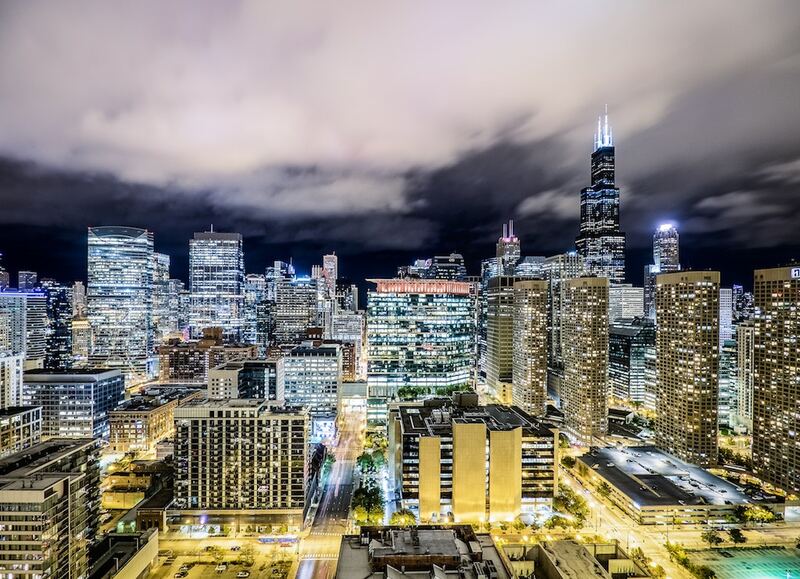 Chicago is seeking the next Chief Data Officer. If you are passionate about leading teams, do not shy from very tough challenges, and want to transform government then please apply. For everyone else, welcome and collaborate and challenge the next CDO as you have with me and Chicago will continue to succeed.